PetroChina, a subsidiary of China National Petroleum Corporation (CNPC), is China's largest oil producer. The company has recently completed construction of a huge integrated refinery and petrochemicals complex at Dushanzi in the Xinjiang Autonomous Region, in China's far west. The complex includes a 10 million ton per year (t/y) refinery and a 1 million t/y ethylene production facility, and is an important part of the China-Kazakhstan energy cooperation strategy. The facility mainly processes Kazakhstan high sulfur crude from the Kazakhstan-China pipeline.A total of 30 billion Chinese yuan ($4.4 billion) was invested in this integrated refinery and petrochemical complex, making this one of the country's largest construction projects. The refinery has 10 processes, including a 3 million t/y diesel production process, a 2 million t/y paraffin process, and a 1.2 million t/y delayed coking process. The petrochemical plant also has 10 different facilities, and these include 600,000 t/y HDPE, 550,000 t/y PP, and 600,000 t/y aromatics facilities. While following PetroChina's basic philosophy of "Safety, Quality and Cleanliness," an Integrated Project Management Team (IPMT) completed this project in just 25 months, and the start-up of the various facilities proceeded quickly and efficiently. Of the approximately 100 major construction projects that were underway around the country at the time, this was number one in efficiency, an achievement that was recognized on the occasion of the country's 60th anniversary. For this new integrated refinery and petrochemical complex, Yokogawa China successfully installed the CENTUM CS 3000 process control system and the Plant Resource Manager (PRM) package. CNPC is always striving to improve production efficiency and product quality. One of the key issues at this integrated refinery and petrochemicals complex is the collective management of all process data. 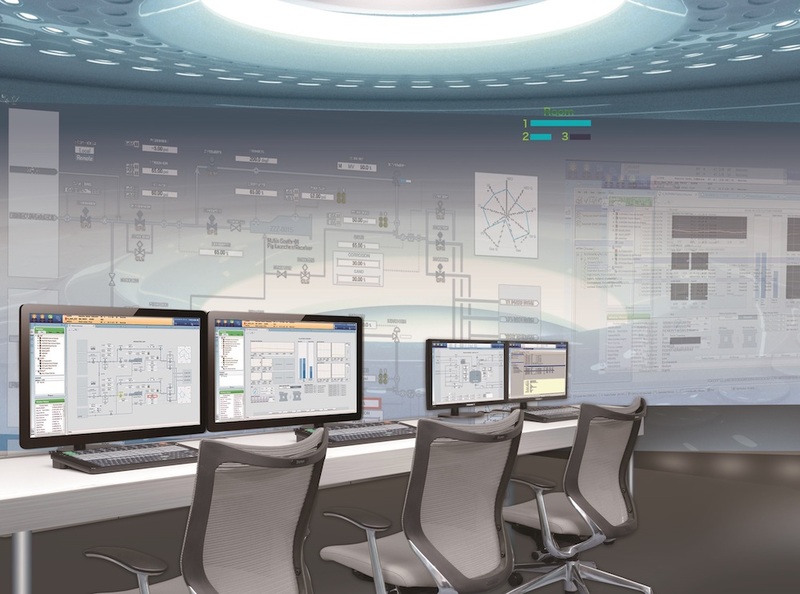 Yokogawa's CENTUM CS 3000 production control system and PRM package are integrated with an analyzer system and other PLC systems via a Modbus interface, so all process data and status information can be monitored at the human machine interface (HMI) stations in the central control room (CCR). Based on the collected process data, which is accessed using the CENTUM CS 3000 system, many kinds of plant key performance indexes are calculated and analyzed to produce further improvements in efficiency throughout this integrated complex. At such a huge refinery and petrochemical complex, plant safety is a primary concern. The core CENTUM CS 3000 production control system is integrated with a safety instrumented system (SIS), emergency shutdown (ESD) system, and compressor control system, allowing plant operators to have a comprehensive and detailed view of what is happening everywhere in the complex. They are thus able to take quick and decisive action whenever required, ensuring safety excellence. At this major complex, another important issue is how to minimize the total maintenance costs for more than 40 processes and over 100,000 instruments, including HART devices. Through the DCS architecture, CNPC Dushanzi wished to centrally manage many different devices from multiple vendors. Yokogawa's PRM package integrates all field device information and device diagnostic information into a single database, allowing real-time remote maintenance via the DCS network. During plant start-up, PRM helps the customer's engineers perform all the loop checks. When a problem occurs, the related instruments can be remotely checked and verified in just a few minutes. Sun Zhaoshan, Chief Instrument Manager, said, "The basic starting point for reducing the total cost is to select the right instruments. The measurement method, accuracy, and type of material used in the wetted parts and the instrument body should be carefully checked right at the beginning of the project. Selecting the right instrument for each application ensures that it will work properly, and this can eliminate some problems that often occur later. This is based on my experience. For this big refinery and petrochemical complex, the biggest issue is how to minimize the labor time and cost of maintaining its nearly 100,000 field instruments. Yokogawa's PRM is a really good package for monitoring all of these field devices from my office." He went on to say, "We are going to use APC packages under the CENTUM CS 3000 system to access all of the field data, analyze the efficiency and other performance characteristics of the process units, and improve product quality. Yokogawa's CENTUM provides us a very reliable platform to achieve this."